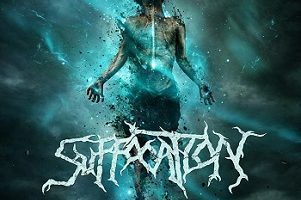 New York death metal veterans, Suffocation, have announced the Obliterating North American 2015 tour. The band is playing the Housecore Horror Film Festival in San Antonio, TX on November 14th and decided to add six special shows. 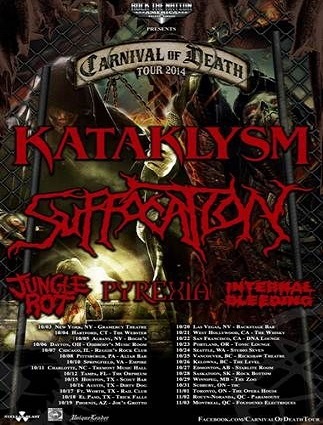 The tour will kick-off on November 12th in Sanford Florida with stops in New Orleans, Indianapolis and closing on November 18th in Toledo, OH. The band’s recent album, Pinnacle of Bedlam, was released in 2013.